It's a handy pocket-sized guide packed with useful information and tips on how to get the most from your visit to the area. If you're looking for holidays in Yorkshire then visit the beautiful Yorkshire Coast. 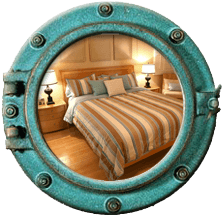 There's a range of accommodation to suit every need, from classy Whitby hotels to cosy Whitby cottages, B&Bs and inns. 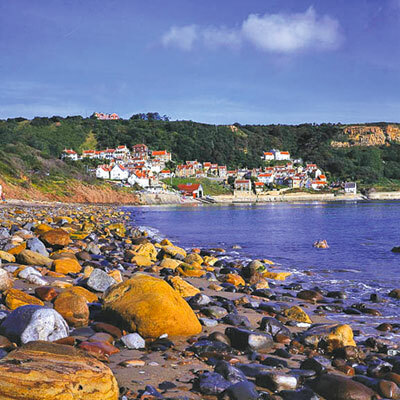 The towns and villages around Whitby are also great places to enjoy a well deserved break. There's a wide range of accommodation in Scarborough and Filey, and the picturesque coastal retreats of Robin Hood's Bay, Staithes, Sandsend and Runswick Bay have plenty of holiday homes and bed and breakfasts to choose from. 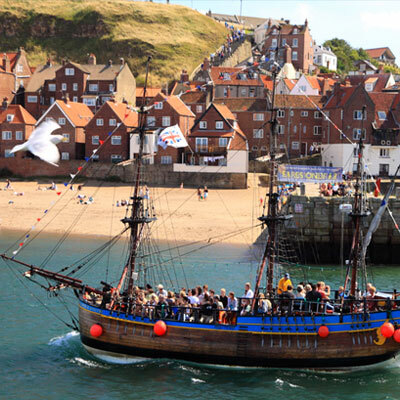 For further Whitby tourist information why not download the VisitWhitby.com Guidebook (a handy guide to attractions and places to eat in the Whitby area)? Just click the download link below. 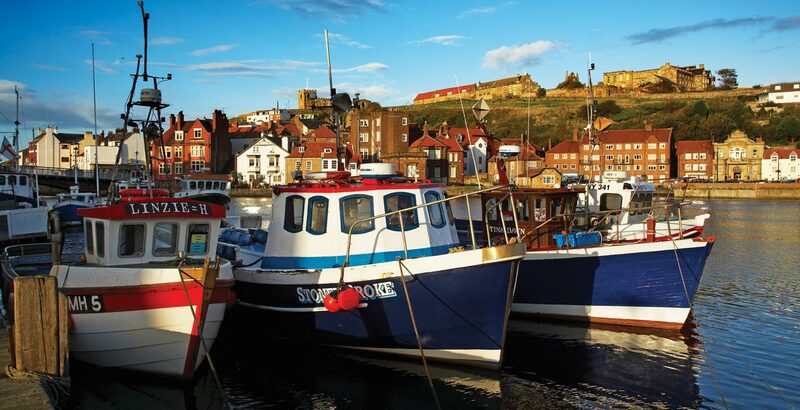 The Yorkshire Coast is a great place to sample delicious, freshly caught seafood, and for many a trip to the area just wouldn't be the same without indulging in some delicious Whitby fish and chips. There is plenty of choice when it comes to restaurants in Whitby and the idyllic towns and villages along the Heritage Coast. Superb seafood restaurants are scattered along the coastline, serving exquisite meals using locally caught produce purchased from the local fish market. In addition the area has some wonderful traditional Yorkshire pubs and inns, serving Yorkshire ales and home cooked fare. Cafés, tearooms and sandwich bars are also abundant in the area, so you'll be spoilt for choice! If you're wondering what to do in Whitby and which places to visit in Whitby and the surrounding area then fear not, the options are plenteous. Steeped in history, there are many visitor attractions that are connected to the town's fascinating past, such as the Captain Cook Memorial Museum, where you can learn about the famous explorer's life in the port town. Other things to do in Whitby include visiting the Dracula Experience on the seafront, where you can be guided through the story and learn about its connection to the town. A trip to Whitby would not be the same without climbing the 199 steps to Whitby Abbey, counting as you go, and exploring the beautiful ruins which tower over the town. Many flock to Whitby for its boutique shops and quirky streets, where you will find unique Whitby jet jewellery and other fascinating items. The town is also home to several annual events including the Bram Stoker International Film Festival and the Whitby Goth Weekend. There are countless options for those interested in walking in the North York Moors National Park, as the clifftop walks along the coastline are part of the Cleveland Way, and the Lyke Wake Walk finishes by nearby Ravenscar. There's more to Whitby than meets the eye - with its connections to Captain Cook and Dracula, its quirky narrow streets and bustling harbour overlooked by the striking Gothic ruins of Whitby Abbey, Whitby is a fascinating town, unlike any other. Enjoy the quirky fishing villages of Staithes and Robin Hood's Bay, the unspoilt sandy beaches of Sandsend and Runswick Bay, the staggering views from the clifftops at Ravenscar, and the popular seaside resorts of Saltburn and Redcar. Enjoy the 800km of bridleways that weave through the peaceful and colourful countryside of the North York Moors National Park, which surrounds Whitby town.